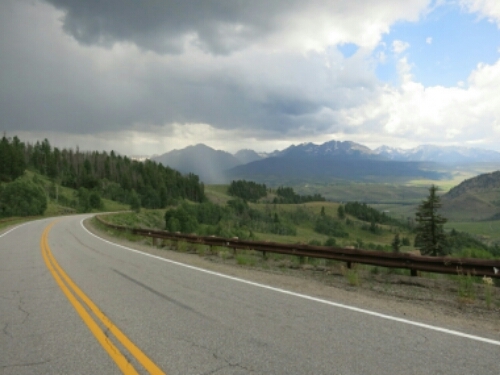 82 miles from Leadville to Winter Park. Our bike is still in one piece. Thanks to everyone who complimented our pure power and torque after the broken crankarm incident. This also provides solid evidence that Felkerino is indeed pedaling. Fremont Pass at 11,308. Then a descent into Frisco. No photos of that, but it was a pleasant climb out of Leadville, fueled by double espressos. Ute Pass at 9,584 feet = wow! We were once again running away from dark grumbling sky so I don’t have as many photos as I wish of this pass, which ascends on quiet pavement with a gravel descent. 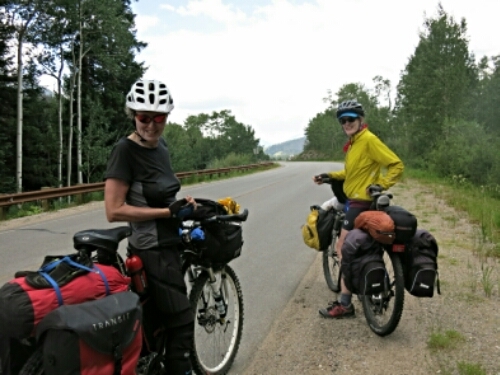 We criss-crossed with a couple of women who were touring part of the Divide route. 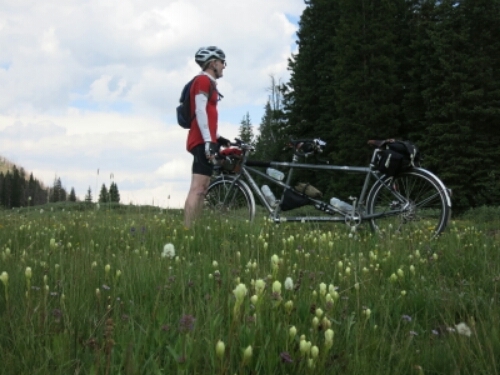 It lifted our spirits to see other touring cyclists and share stories about our travels. Hopefully the rain cleared for their descent. More gravel road carried us up and over to Fraser and Winter Park. In before dark and the rain. i think the part i like most about these road trip posts is that you treat yourself well, making sure you find a decent espresso along the way. well, that, and your smile. you’re always smiling. and i love that. Thank you, my friend. 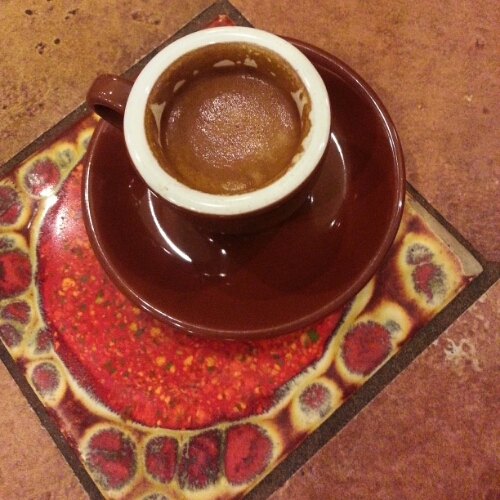 We try with the espresso, often with mixed results. But we definitely try. When I crossed Colorado I was packed like the touring cyclists you met. Next time I cross Colorado I’m going to be packed like you are, unless I’m with my family crossing the country. You definitely can cover ground more easily w/out the panniers. I’m really happy with this current setup we’re using. Woaho! Sounds like a successful and varied day; cool altitudes, paths and area. And with no equipment trauma – always a good thing! Thank you so much for the encouragement, both on the writing and the riding!